Get the most out of your custom sports uniform while working with our experienced design professionals. If you would like to use any of these fonts, designs, layouts or colors with your fully customized uniform please quote the code or name. If you don't see anything you like here you can email us to come up with an amazing design for you! Chat with our Graphic Designer and Create a custom design today! This is perhaps the most important part of your custom order process because this is when you work with us to design and implement your ideas. In order to get your custom clothing order as soon as possible, this process requires a close collaboration between you and your sales representative. Therefore, it is important that you know what we need from you and what we can provide. Our designers are experienced professionals who are always working to create unique designs for sports teams all over the world. 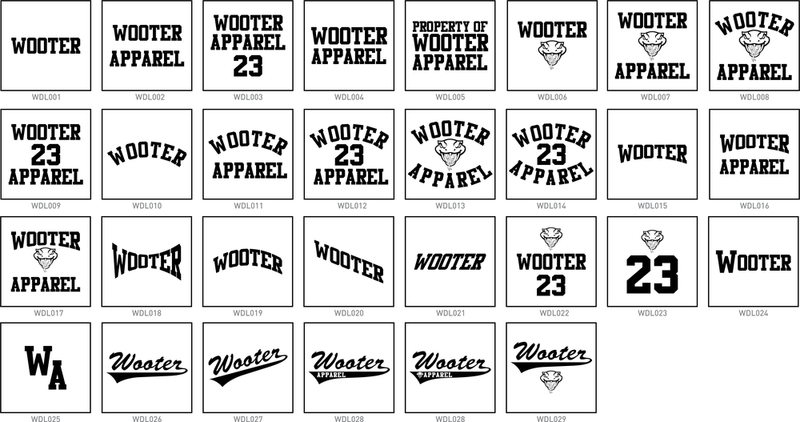 The creative work that is the basis of the design of your Wooter apparel uniform is the same we use for our elite teams. The process is simple and our apparel design service is free. Our designers will work on concepts based on information provided; we just need to know your team colors (you can tell us your Pantone values or choose them from our color chart below) and where you want to place the logos of your sponsors. The vibrancy and durability of our colors are unbeatable. To achieve the best print results our color table contains the chromatic recipes in order to create the best possible definition on fabric. It is important that your Wooter product looks the way you expect it to, the best way to make sure the colors meet your expectations is to provide us with Pantone reference colours. Pantone is a global standard that ensures we're all speaking the same language when we talk about color, allowing us to do a better job of producting the colors that you ordered. The best resource for finding the Pantone reference color you need is the Pantone bridge book which can be found in most stores; this book provides a side-by-side comparison of original Pantone colors and their digitally printed equivalents. You can also find examples of Pantone charts on the web. Please note: The colors represented here are only for reference and are not an exact match to those that will be printed on fabric. You can submit your own logos and other graphics as either high resolution images or as vector format. If you are familiar with Adobe Illustrator or CorelDRAW we will gladly provide you with our artwork mockup templates, which will allow you to place your artwork at the right location. In order to achieve the highest quality we also ask that you provide all logos of your team uniform in a vector format. If you are unable to do so don't worry - our designers will be able to redraw them for you at an additional cost. Vector graphics files store lines shapes and colors that make up an image as mathemtical formulas to construct the screen image, building the best quality image possible. The mathematical formula determines where the dots that make up the image should be placed for the best results when displaying the image. 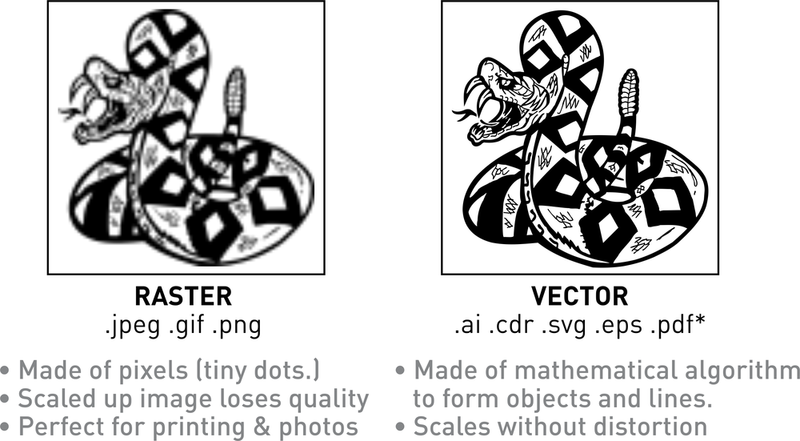 These formulas can produce an image scalable to any size and detail, the quality of the vector image is limited only by the resolution of the display. See below comparison between a rasterised image and a vector format. *Please note that a PDF document can contain either a raster or vector image. Please specify an emblem by number and indicate size and location on your garment when ordering. Elements can either be one or two colors. Color one is represented here by using black; color two using white. You can choose a design layout you'd like your team name or element on your uniforms. See below our most popular fonts used in apparel designs. They ensure the most legible print; if you don't see anything you like here you can email or link us your font files that you would like to use. If you want your lettering or numerals to stand out more you can refer to the styles as shown on the right.